PATTAYA:--Three bikers were fined 1,000 baht each for having loud motorcycles in a South Pattaya crackdown. Pol. Lt. Col. Saranpong Maithongkulthorn led the team of officers manning the checkpoint in the middle of Soi Khopai April 7. Two Honda PCXs and a Honda Wave were stopped and inspected, with officers deeming the bikes too loud. The checkpoint was set up after complaints about loud motorbikes by Khopai Community President Wirat Joyjinda. Probably they do make thousands in your village - at least unofficially. Just need the house number now to make his life a misery. Why, oh why would anyone modify the exhaust systems on bikes like these? What did they think they would achieve with said modifications, impress their 14 year old girlfriends? IMO, there's a 0 missing on the fines. Maybe a total lack of brains and manners? All bikes are loud , they should fine everyone. They remove the baffles from the exhausts thinking it gives the scooter more power. In Sakon Nakon we have a neighbor goes to the rubber plantation at 3.30 am on a similar machine, everyone has to wake up at the same time as the p#!%k. 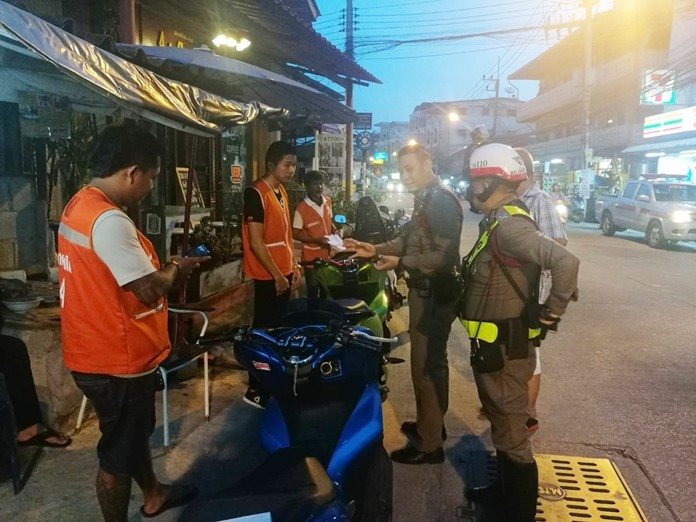 The comical farrangs riding up and down on deafening Harley’s in Pattaya need a financial penalty too, blipping the throttle and looking round to see who’s looking at them. A few drill holes is about it but the aim is simply to make more 'look at me' noise. One would think the quieter the better so they don't attract the attention of the BIB since many are underage, unlicensed and helmetless.